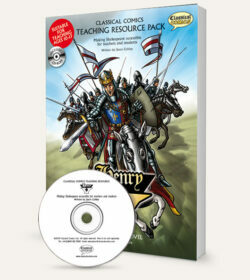 View Cart “Henry V – Teaching Resource Pack” has been added to your cart. 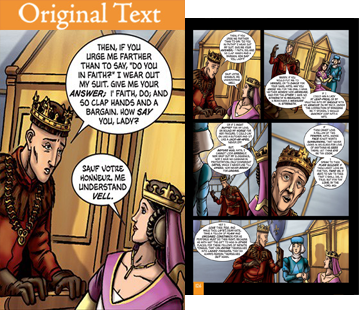 Each full-color graphic novel features comic book style illustrations throughout, a character list (Dramatis Personae) and information about William Shakespeare, King Henry V, and The Battle of Agincourt. 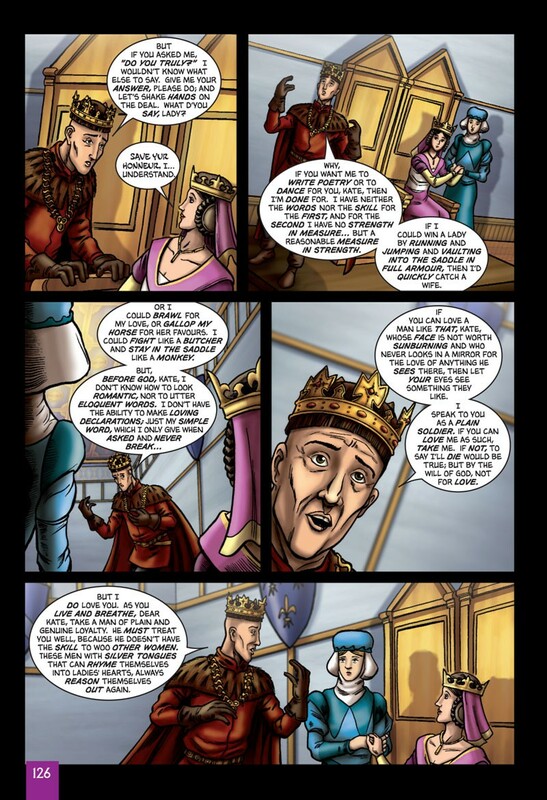 It’s the 15th century and the Archbishop of Canterbury convinces King Henry V to lay claim to France. 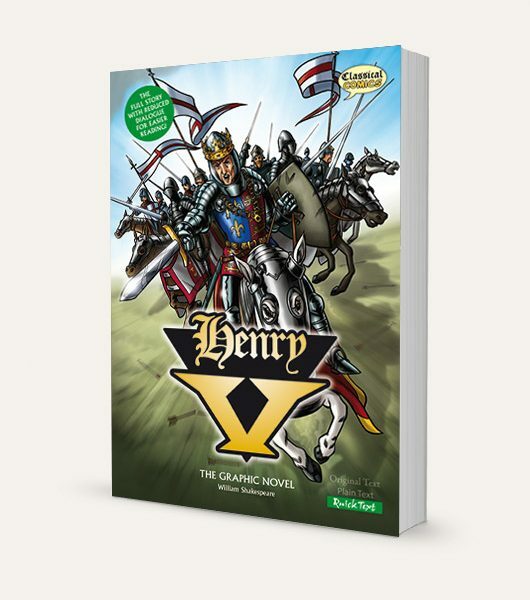 He gathers only a small invasion army, leaving many troops in England to quell any potential rebellions. 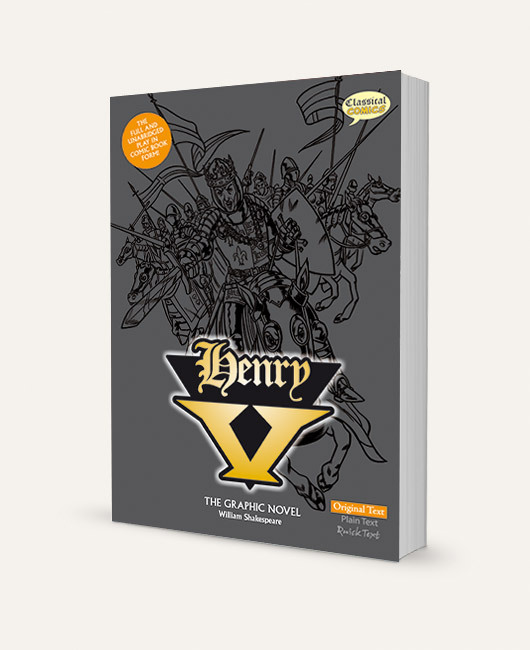 While in camp, Henry disguises himself as a common soldier and mingles with his troops before the battle. 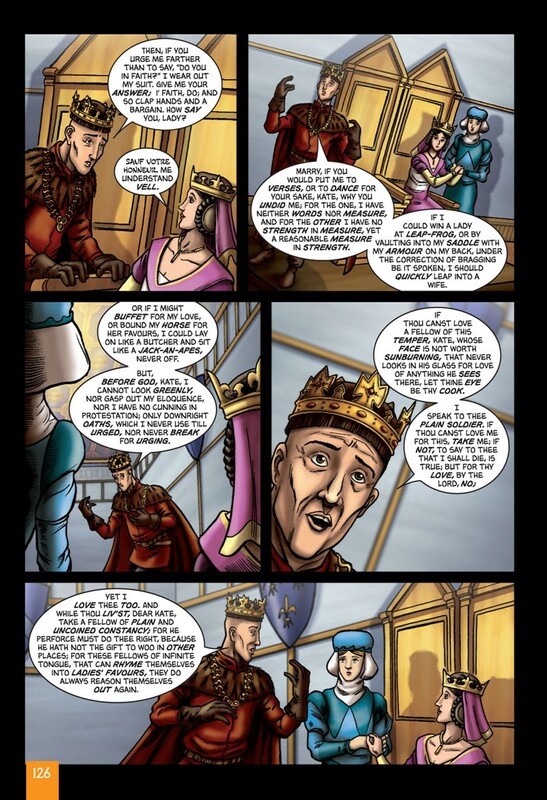 The next day at Agincourt, Henry makes the stirring St. Crispin’s Day speech, knowing his army is outnumbered five to one. 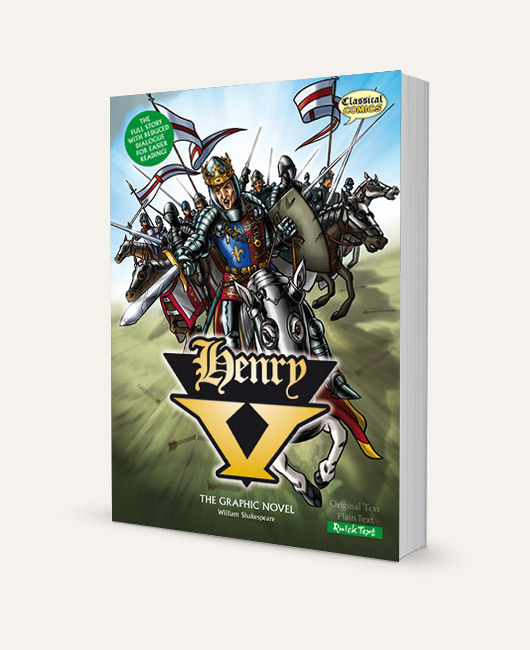 But, aided by the longbows of his archers, Henry wins the day. He marries Princess Katherine of France and is named as heir to the French throne, therefore securing peace. 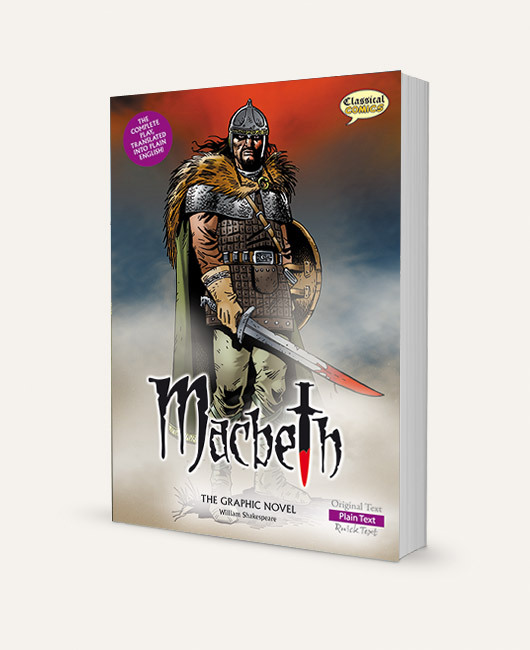 To support the use of this title in the classroom, photocopiable teachers resources are available that offer lesson plans and activities from 6th grade and up: ISBN 978-1-906332-53-2. 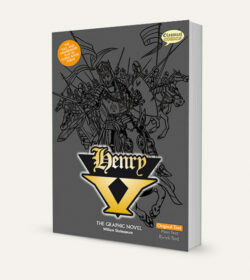 Henry V is available in 3 versions. Choose the text version to suit your reading level.